There is a ‘B’ story to this movie, but to talk about it would be like talking about Fight Club, and would spoil the fun. 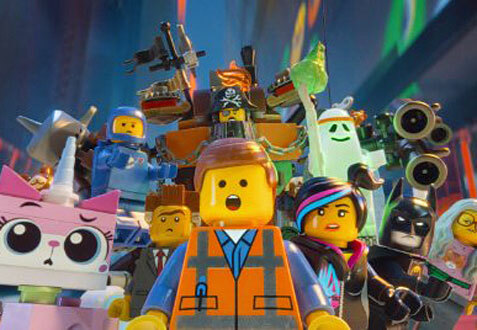 This is a pity, because it’s a great example of the lengths that directors Phil Lord and Christopher Miller (who directed the dissimilar but great duo “Cloudy with a Chance of Meatballs” and “21 Jump Street”) went to give the movie some heart and the LEGO characters a soul. The story line involving Emmet, Wyldstyle and Vitruvius owes a large debt to “The Matrix,” but this adds to the charm, since it essentially allows parents to show their wee ones “The Matrix” without actually showing them “The Matrix.” And much like that film, “The LEGO Movie” boasts stunning design and effects. As CGI films go, it’s unlike anything you’ve seen before. With regard to the outstanding voice performances, there are almost too many to mention. Pratt nails the tone of the dull but enthusiastic Emmet, while Banks, who hasn’t gotten to show off her comedic chops for a while, out-Trinity’s Trinity in terms of badassdom (her best scene takes place in total silence; you’ll know it when you see it) and choice dialogue. Freeman is the straight man here, but still gets a boatload of great bits (his description of Emmet’s mind is the winner), and Liam Neeson was born to play the part of Good Cop/Bad Cop, but Charlie Day’s Benny, the ‘80s astronaut (our theory is that his name is an Elton John joke, since he wrote “Benny and the Jets” and “Rocket Man”) is going to be the most quoted character from the film. But again, sorry, we can’t tell you why. 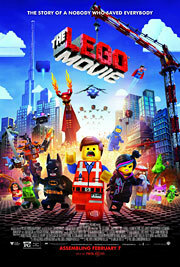 “The LEGO Movie” is funny in ways you will never expect, and heartfelt in ways you will expect even less. It’s a LEGO movie for people who despise the very idea of a LEGO movie, which is pretty punk rock for a CGI movie made by one of the largest media conglomerates in the world.